Who doesn't love BACON?! Well, I most definitely do. Many of my favorite appetizers include bacon. 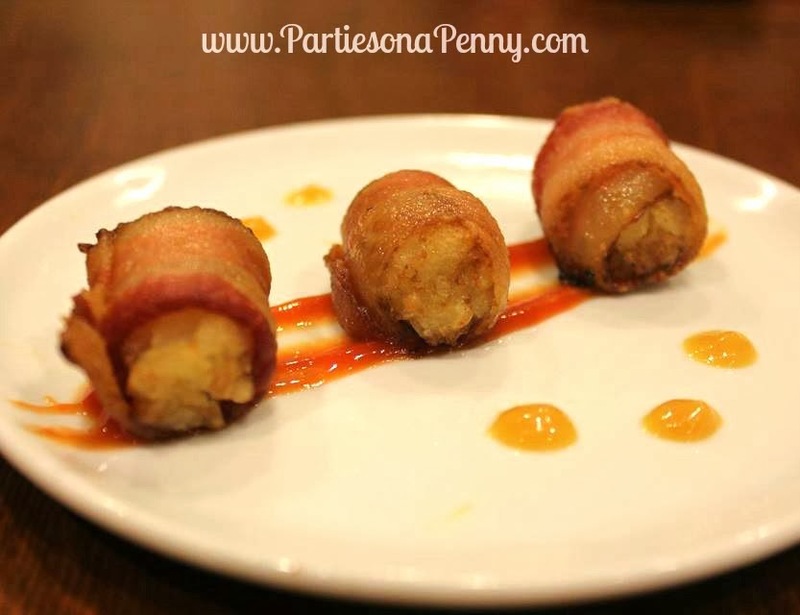 Here are 4 very simple, quick, budget friendly and most importantly delicious bacon wrapped appetizers you can easily serve at your next gathering. I absolutely love the combination of bacon and pineapple as it is the perfect balance of salty and sweet. As a short cut, use canned pineapple chunks. One can yields around 24 pineapple chunks. Wrap each pineapple chunk with a 1/3 strip of bacon. Bake on a greased sheet pan at 375 degrees for about 20 minutes. Bacon and tater tots, how can this not taste amazing? After wrapping each frozen tater tot with a small strip of bacon (1/3 of a strip is sufficient), bake them in the oven at 375 degrees on a greased sheet pan for about 25 minutes. Make sure to place the fold of the bacon down on the pans so that the bacon does not unravel. Serve with ketchup or my favorite, honey mustard. First, trim off the stems of each brussel sprout. 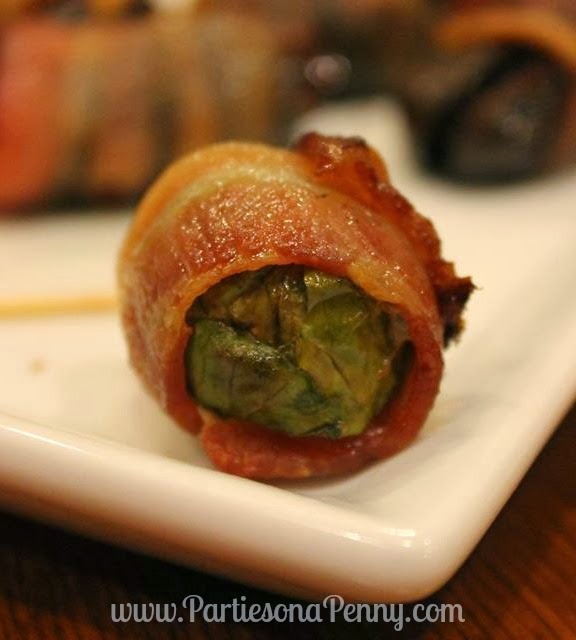 Next, wrap a small strip of bacon around each brussel sprout. Bake on a greased sheet pan at 375 degrees for about 20 minutes or until the bacon is crispy. These bacon wrapped dates have a couple additional steps than the appetizers above, but the extra work is definitely worth the tastiness of these little treats. First, cut open each date to remove the pit. Then fill each date with the crumbled blue cheese. Next, using a 1/2 strip of bacon, wrap each stuffed date and secure with a toothpick. Place the dates on a greased baking sheet at 400 degrees for about 20 minutes or until the bacon is crispy. 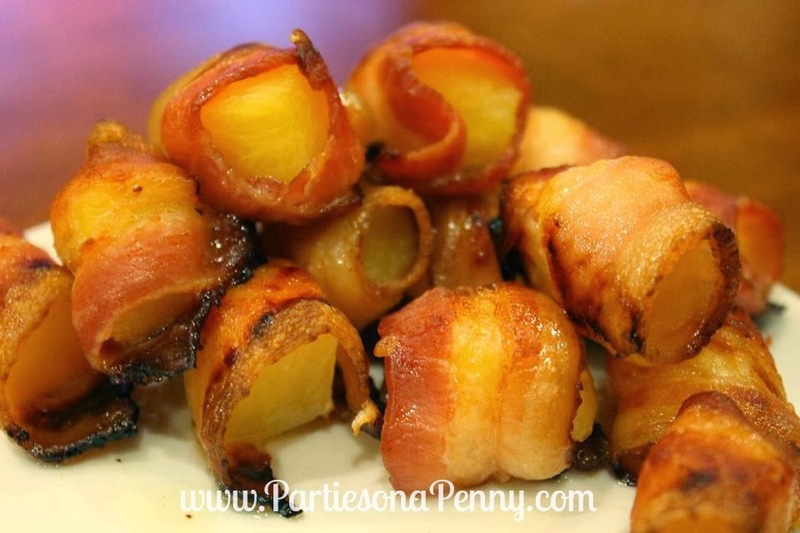 Such an amazing and easy recipe for Bacon Wrapped Pineapple. And now this is a must try one for me. Good share and I can't wait to share my experience with you!